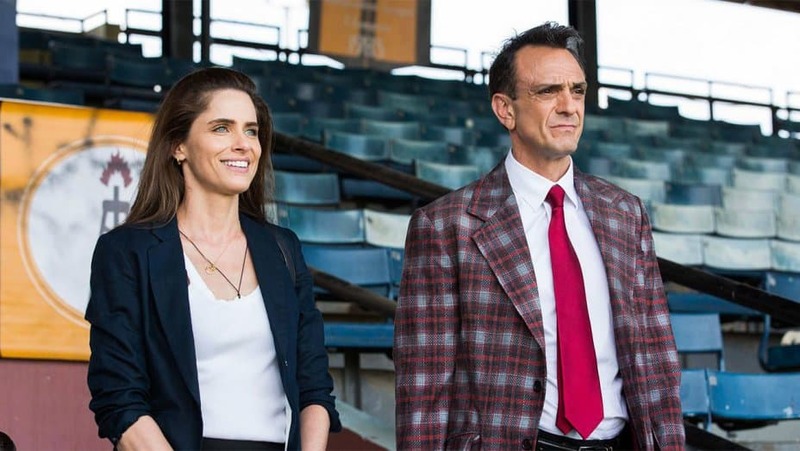 Brockmire on IFC is something that you might enjoy if you like baseball and enjoy a good deal of drama that goes on behind the scenes. But then if you like Hank Azaria then it might be a good idea to take a look as well. Amanda Peet is a part of the cast as well so you can honestly see right from the get that it could be something special to get into since just these two actors have managed to show people something special just about every time they come on screen. In this show the whole idea is to show the story of the titular character and what he’s going through when his life is suddenly disrupted and he has to deal with the idea of losing his job and the world that he thought was secure. While its touted as a comedy, for a good reason, it also has a good deal of drama to it as well, creating a nice balance. Here are a few things about the show you might not have known. 10. The show is based on a sketch that Azaria came up with. Hank came up with this idea during his time with Funny or Die and it was a simple sketch that he thought up at first, but eventually it became something that began to develop and take on a life of its own. It’s amazing really just how an idea can really come together when someone gives it a voice. 9. Hank created a character that was based upon what he remembers as a child.